Description of Design Thinking. Explanation. 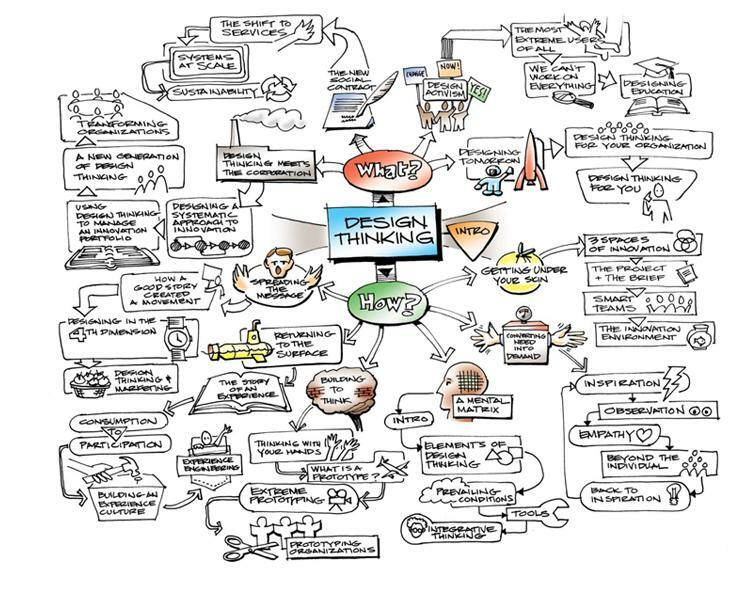 Design Thinking is a design-centered approach to business management opposite to analytical and left-brained thinking. When the methodology of Design Thinking is applied to business management, it is also known as Management by Design. “Engineering, medicine, business, architecture and painting are concerned not with the necessary but with the contingent - not with how things are but with how they might be - in short, with design”. In the original conception of Simon, Design Thinking was assimilated in the concept of Synthetic Thinking: a non-analytical thinking approach that would “randomly” combine single ideas into a more complex whole. The combination of ideas is a process of convergence rather than divergence and that is why this way of thinking is basically adopted by creative and design people who don’t like to rely exclusively on analysis or scientific approaches. Different from Inductive and Deductive reasoning, Design Thinking can be considered an Abductive Reasoning methodology, and also resembles some features of De Bono’s Lateral Thinking and Gestalt Theory. In its original acceptation, the aim of Design Thinking was to integrate analytical scientific reasoning with a more intuitive and solution-oriented methodology to avoid occurring of Paralysis by Analysis and other typical pitfalls of rational decision making (Bounded Rationality). The methodology of Design Thinking was therefore not conceived as stand alone tool for problem solving but just a side methodology that would have integrated design and analytics, just like an integration of right and left brain thinking preferences in Herrmann's Whole Brain Model. Empathy. Considering other people and relationships with them a major aspect of life allows to share their needs and visions and observe the world from multiple perspectives. Optimism. Approach problem solving with the assumption that there is always a better solution than the already existing alternatives. Experimentalism. The capacity of creative questioning and exploring completely new directions. Collaborative Attitude. An ever increasing complexity of needs, products and services requires interdisciplinary collaboration among team members of a project. Assuming that one person alone is not anymore sufficient to solve some issues, multidisciplinary skills and experience are at least excellent features business leaders should have. Define. Decide what issues have to be solved and their targets. Establish project prioritization. Determine project CSFs. Create a glossary of terms to avoid misunderstanding from the beginning (since often Cross Functional Teams, with members holding different backgrounds, work on the same project). Research. Explore the initial issue and its history. Collect analogue cases and consider how they have been solved. See: Analogical Strategic Reasoning. Get in touch with end-users to establish learning moments for later development. Take into consideration business thinkers’ and Opinion Leaders' opinions. Ideate. Track end-users specific needs and generate ideas that can help to satisfy identified needs. 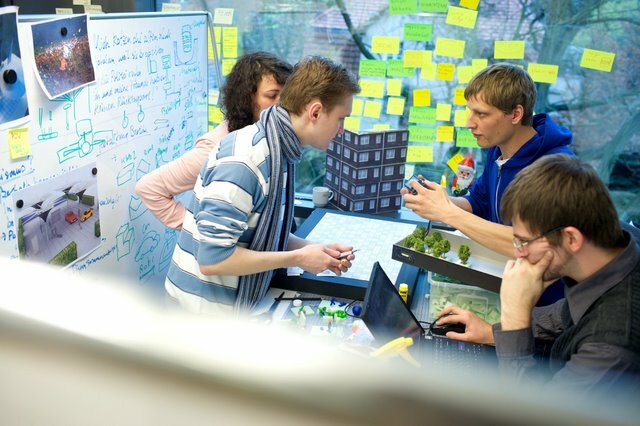 Brainstorm freely with project team members avoiding any early judgment of ideas. Prototype. Start working on ideas presented: discuss, develop, merge and refine ideas in order to create multiple drafts. Make a selection of ideas, judgment free, and present few drafted plans to the client. Choose. Being attained to the final project goal, select the most relevant ideas. Remember to disregard emotions and conflicts that could influence the decision, avoid easy and practical win, as they are often not the best solution, prevent occurring of Groupthink. Be neutral. Implement or Delivery. Define plans, resources, actions and tasks in a timeline. Assign tasks and monitor their correct execution during project delivery. Learn. 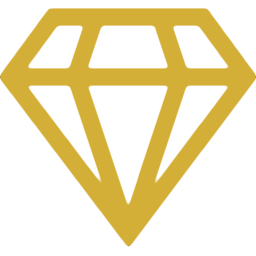 Collect feedbacks internally and from end-users and relevant project data. Measure success obtained. Analyze eventual project gaps from the defined objectives and suggest improvement actions. This ends our Design Thinking summary and forum.